Tropical Storm Watches have been issued for St. Lucia, Martinique, Guadeloupe and Dominica as the strong tropical wave to the east of the island chain was upgraded to Potential Tropical Cyclone Fifteen, said the US National Hurricane Center (NHC). 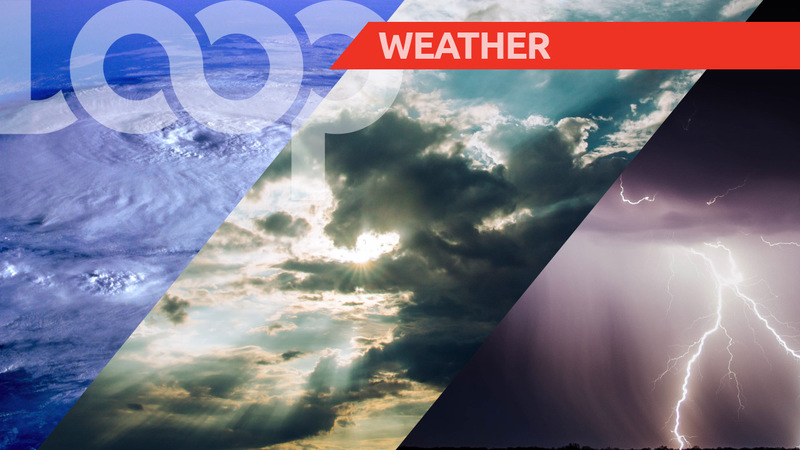 In an 11 a.m. bulletin, it advised that tropical storm conditions are possible within portions of Leeward Islands on Monday, with hurricane conditions possible by Monday night or Tuesday. 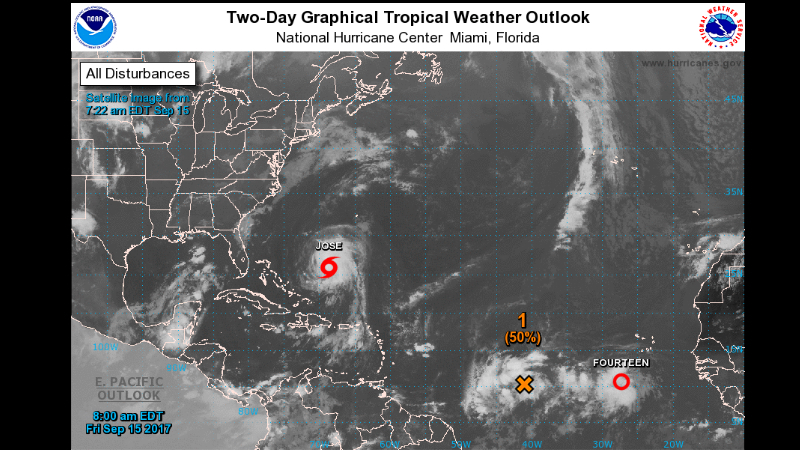 The system is expected to produce total rain accumulations of 5 to 10 inches with isolated maximum amounts of 15 inches across portions of the central and southern Leeward Islands through Tuesday night. These rains could cause life-threatening flash floods and mudslides, said the NHC. It noted that at 11 a.m. the system is centred over the tropical Atlantic Ocean about 755 miles (1220 km) east-southeast of the Lesser Antilles, moving toward the west near 22 mph (35 km/h). A slower west-northwest motion is expected during the next couple of days. 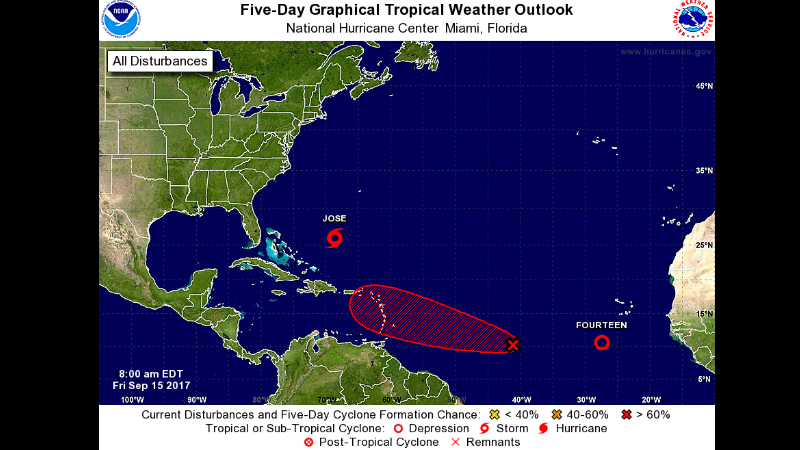 On the forecast track, the system is expected to approach the Leeward Islands on Monday. Maximum sustained winds are near 35 mph (55 km/h) with higher gusts. Strengthening is expected during the next 48 hours. The disturbance is forecast to become a tropical storm later today and could be near hurricane strength when it approaches the Leeward Islands. Meanwhile, Tropical Depression Fourteen has been upgraded to Tropical Storm Lee, the 12th named storm of the 2017 Atlantic hurricane season. 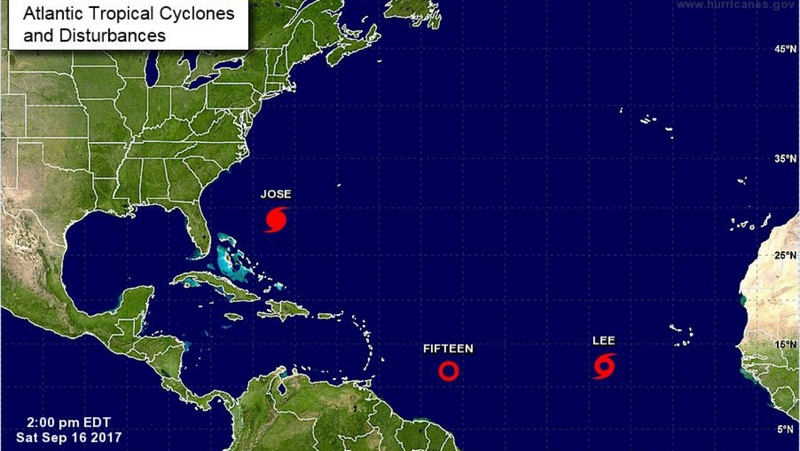 Lee is centered over the far eastern tropical Atlantic Ocean about 655 miles (1055 km) west-southwest of the Cabo Verde Islands. Lee is moving toward the west near 12 mph (19 km/h). A westward or west-northwestward motion with a decrease in forward speed is expected during the next couple of days. Maximum sustained winds have increased to are near 40 mph (65 km/h) with higher gusts. Little change in strength is forecast during the next 48 hours. Lee is not a threat to land.